hey guys, my older brother has a 1998 R1100RT and I'd like to get him a cruise control for the bike for christmas. 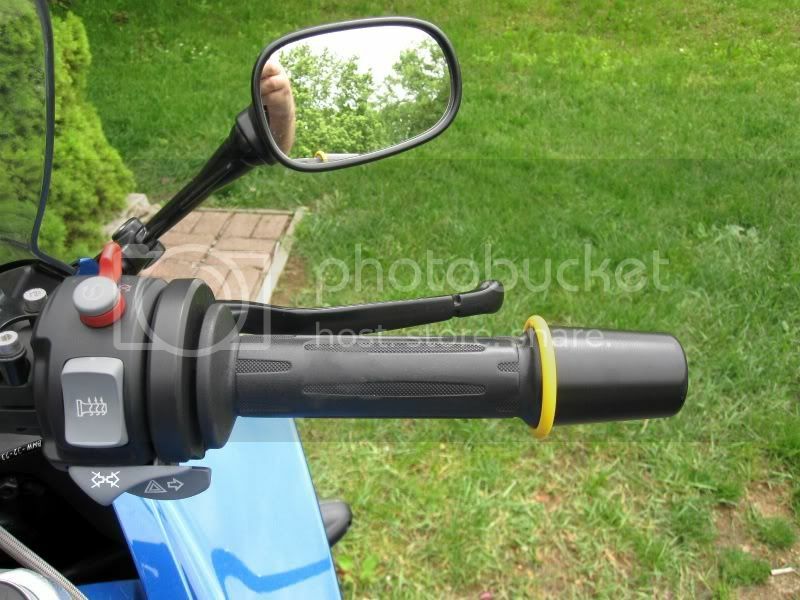 I can't find the handlebar diameter online anywhere. should I be after a 1in of 7/8in diameter unit? Allow me to suggest you get him something else. My BMW mechanics tell me those things never really work right. i have the eltric cruise control on my gs 800 (it came with it) don't waste your time with it. when i ride with other riders i cant use it because everyone else hase throtle locks and they speed up and slow down with the hills and terain. mine stays right where i put it. this is great but no one else will drop the money on them so i am constanly adjusting it every dand secound it feels like. i just give up and use the throtle lock like everyone else and then keep up with the pack. My K1200LT has factory electronic cruise and it works flawlessly. It may be available for the RT but it will be spendy. No cruise control for me. I long for the days of Ronald Reagan. I'd settle for the days of Jimmy Carter. the reason I ask if I wanna pick up one of the go cruise "throttle clips" but they make one in 1in and one in 7/8in just not sure which one to get. for his bike. so whats the verdict lol, 1in or 7/8 in? I'm using this o-ring and it holds the throttle really well. I had a Wunderlich installed but it didn't work correctly. R75/5, no cruise. Not much of anything else either. I don't know for sure, but back in the day when I had foreign bikes they were all 7/8 and Harley was 1in. But the foreign bikes were Honda, Suzuki and Triumph for me and that has been some years ago. I think the throttle lock is a decent idea for long tours and strait flat highways, I put them on a couple bikes that I rode any distance on. I have a Throttlemeister on my VFR. Works well but pretty expensive for what it is and does I think. It's unobtrusive though,just looks like a silver bar-end and is easy to roll on. I use KAOKO brand throttle friction device. I am not aware of a cruise control for that model, even if there was, I would not use, recommend, nor install one on a cycle. Mine is 1", FWIW. Go with that, IMO.